Data is everywhere around us. How we organize it and understand it, however, makes the difference. Seattle Software Solutions offers Data Management and Application Solutions so that your company can get the most out of its data. Seattle Software Solutions specializes in Web Applications so that your data travels with you. Using our solutions your company's employees will be able to securely access the information they need when and where they need it. Additionally, Seattle Software Solutions offers Desktop Applications for internal use. No matter your company's situation, Seattle Software Solutions will work with you to determine the best solution for your specific needs and budget. The art of Database Design is truly an art. At Seattle Software Solutions we pride ourselves in clean database design for maximum performance. The key to a successful design is not only our expertise, but also the mutual input of our clients. 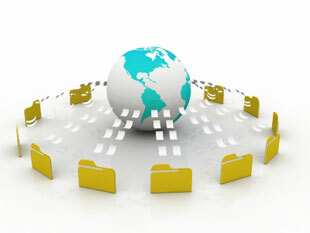 We look forward to learning more about your business so that we can provide the best database solution for your needs. The Internet has been and will remain a growing influence in our lives. With this influence comes the expectation that all the information that we need should be available via the web. Keeping this expectation in mind, Seattle Software Solutions provides solutions so that you can access the data you need when and where you need it.